This was actually a rather good discussion on KOFXIV! Loads of topics covered related to the first impressions of the 2nd trailer, and a good range of people who participated, from old school fans to more casual fans who didn’t play KOFXI; people who support SNK and people who hate this latest incarnation. 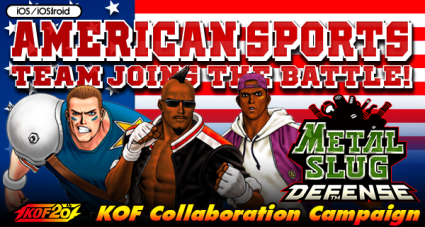 For this update, “AMERICAN SPORTS TEAM” from “THE KING OF FIGHTERS ‘94” appears! In addition to the above, “Halloween” area newly appear! If you clear all stages in this area, you can get the special units. Furthermore there are new additional units, new special mission. In addition further, unit level limitation is now unlocked for more levels. The update will be released from today for Android devices and soon for iOS devices. 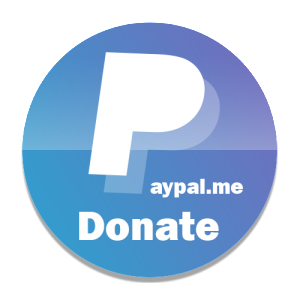 ■Description: 1)”AMERICAN SPORTS TEAM” joins the battle! – “HEAVY D!”, “LUCKY GLAUBER”, “BRIAN BATTLER” appear! Just some tournament news before we get to the main course! Hold onto your hats! FREEZER, EMPEROR COW & YAMAZAKY96 will join MISTERIO at KOFGCC!!! There will be a tournament for KOF & DOA! While Marwan and Albanna (2nd place at 98UM Cannes) will visit Lonestar Admonition! Speaking of tournaments: This weekend is Xperience Gaming! If you haven’t checked our #FGCMag you can download the pdf from the store (you can put in some fake details but please tell me which country you are from). What’s the update? A few characters have been clarified through translation. From rumors, in upcoming KOF14, there will be Nakoruru from Samurai Showdown, Mui Mui from Dragon Girl and Love Heart from Sky Love. Evil Yagami is known for scouring the depths of the planet for any sort of news and rumours, no matter how ridiculous they seem, showing how much he loves the game, even though it made most of his posts rather incredible. Myeng Swuk is Kim’s wife (taken from a wiki). If she’s a headswap, heck, if they are all headswaps, why not. Personally I feel a bit weird beating up Kim’s wife. Then again, we’ve been beating up Andy’s girlfriend for over a decade… Why they don’t just bring in the whole family, beats me. All headswaps, cheapest cast ever. I’m not really surprised to see Mr “1 extra hit for the combo video” Chang back in action, but Choi wasn’t really used in the West and on the whole greatly disliked. Even if he was greatly underestimated, and actually quite cheap. Very popular in China apparently. Alice from the Pachinko series. To paraphrase: ‘We’re gonna make gamers into Pachinko fans!’ Yeah, well I wouldn’t be surprised if Alice just gets the boot out of spite. A female Terry Bogard would be fun yet have to play quite differently to have any sort of merit, like Shingo, otherwise you might as well just make her an alternate DLC costume for Terry. Without Alice of course, Yuri has her place. Mainstays. Chin isn’t a priority, however. No comment. A Chinese team posted by a Chinese source on a Chinese forum, and this was before the Chinese buy out. Still, there remains the very strong possibility of a XDZW crossover, with Kaoru Kuraki and Brazel being top contenders. Who said the guest appearance by Terry and Beni (and now Kyo and Iori) in Tencent games had to be one way? Alx has now updated this saying the third character is a butler, so Ripper and Hopper are out. Geese shouldn’t be anywhere in the KOF timeline but whatever. Nightmare Geese, yada yada. But where’s Mr Big? Where’s Lily Kane? See team Mexico. Just give them all infinites and the crowds will get hype. Yeah sure, whatever. Used to do business with Geese and Rugal, yup. And after doing business, injected himself with special virus or Orochi blood or alien dna, and goes out of control, bla bla bla. Where is ROCK HOWARD? VANESSA? SHINGO? Team USA? Where is your favourite character? Let us know who you’d PAY FOR AS DLC.